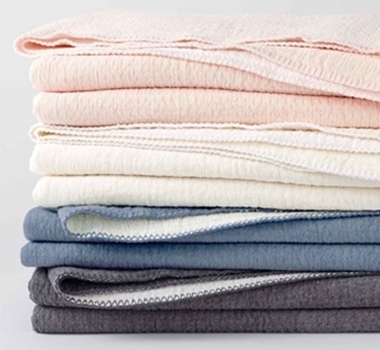 Throw - 47" x 60"
Naturally luxurious, this organic blanket pairs the plush touch of chenille and the lightweight warmth of cotton. It has been washed to create a subtly puckered texture. Each color reverses to ivory, offering two ways to layer.